Auto Lube Systems: Executive Profiles for FLO Components Ltd.- automatic lubrication systems specialist and leading supplier of greasing equipment and supplies: automatic lubrication systems, central lubrication systems, automated greasing systems, autogreasers – FLO Components – Automatic Lubrication Systems Specialist in Ontario and Manitoba. Chris began his career in Lubrication with LINCOLN Canada, where he spent seven years as District Sales Manager before moving to FLO in 1985. Initially in the role of General Manager, Chris has been President since 1991. To bolster his technical expertise, Chris attended and successfully completed a variety of technical courses from key suppliers such as LINCOLN Industrial, Graco Inc and PERMA USA. Professionally, Chris graduated with a B.A. in Economics from McMaster University. Since then, he has successfully completed several business management courses from Sheridan College and received his ISO 9000 Internal Auditors certificate. Mike’s wealth of knowledge and unique insight on the topic of lubrication has been gained over 3 decades in such diverse roles as service technician, Off-Road Lubrication Specialist, Sales Manager and General Manager in the industry. 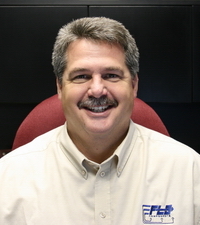 Mike joined the FLO Team in 1986 and was appointed Vice President in 2004. He is an active member of the Conestoga College Advisory Council, Faculty and Board Of Directors, an instructor of the Lubrication School at Mohawk College, an active member of the Canadian Lubrication Professionals and a Member in Good Standing of Society of Tribologists & Lubrication Engineers. Mike is a graduate of Conestoga College of Applied Arts & Technology with an Industrial Maintenance (Millwright) Mechanic license. He successfully completed the University of Alabama Industrial Distribution course and several management courses at Conestoga College as well as several technical courses from key suppliers such as LINCOLN Industrial, Graco Inc. and PERMA USA, and participated in several Lubrication Schools hosted by the Society of Tribologists & Lubrication Engineers. Roger joined the FLO Team in the then newly created position of Operations Manager in 2007. Prior to that, he advanced through a variety of positions over fifteen years, starting as a Quality Assurance Technician to Quality Manager to Director of Quality Safety and Environment in both industrial and business-to business industries. Roger has developed expertise in inventory and vendor Management, developing superior customer service, implementation of ISO Quality Systems and customer focused operations. 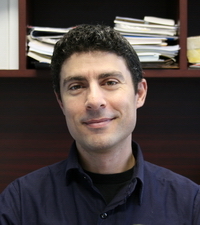 He obtained his Bachelor of Science from the University of Toronto. 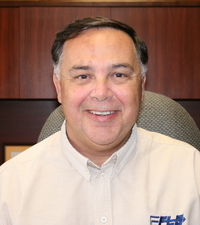 He also successfully completed an ISO Lead Auditor RAB certification and holds a Project Management designation. Orlando joined the FLO Team in 1999 and held the position of Inside Sales/Customer Service, then Customer Service Coordinator for several years before taking on his current role. 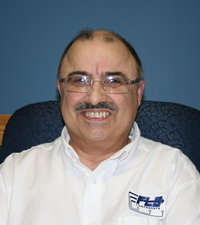 He also holds the position of ISO Coordinator for the FLO ISO 9000 Quality Management Team. Previously he worked over 15 years at a major industrial OEM in a variety of positions including, Purchasing, Customer Service and Technical Support. Technically, Orlando has successfully completed courses from LINCOLN Industrial, GRACO Inc., PERMA USA, OIL-RITE Corporation, TRICO Manufacturing and FAIRVIEW Fittings, among others.